I noticed that from the past couple of days my hair felt quite dry especially the ends and even my conditioners were not able to get them back to their silky and smooth texture. 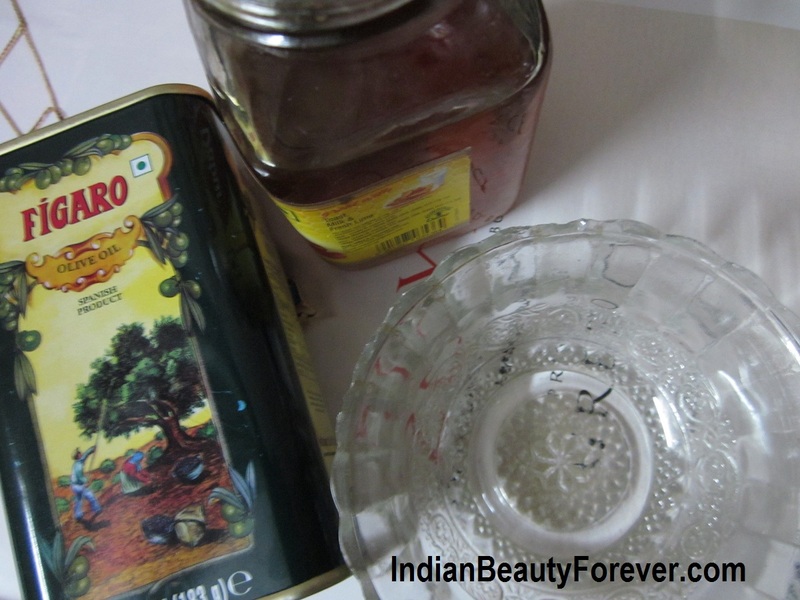 So, as usual, when these readymade stuffs kind of fail, I always run for my DIY treatments and today, I will share a deep containing hair mask for soft, smooth and silky hair which is extremely easy to make, hassle free, natural and yet gives great results. I am talking about this Honey and olive oil hair pack. These are the things that are very easily available in our kitchen and can be used once a week or as required. Take some Olive oil as required and according to your hair length and volume. Mix it with a bit lesser amount of honey as compared to olive oil, and mix both of them well. It will be good if you warm up, the honey as it will be easier to spread it on your hair. As they both cannot be mixed, you have to make sure that you stir it well while applying as they separates soon! I have used Figaro olive oil and applied the mixture well, concentrating on the ends. I realized that when the mixture is little warm then, it spreads easily and less messy. After that I tied my hair in a top knot like this and waiting .. and waiting… bored… played Age of mythology… it’s been over 30 minutes but I had to finish my game . :D So, I gave it more time!! Anyways, after this I shampoo my hair and condition as usual. Hair felt soft, smooth and shiny too! There were no knots at all and while combing the brush just comes across effortlessly. Honey helps making hair smooth and olive oil is well known to deep condition and repairs damage thereby making hair healthy. It isn’t as sticky as the other oils as well! Here's my hair with and without flash. 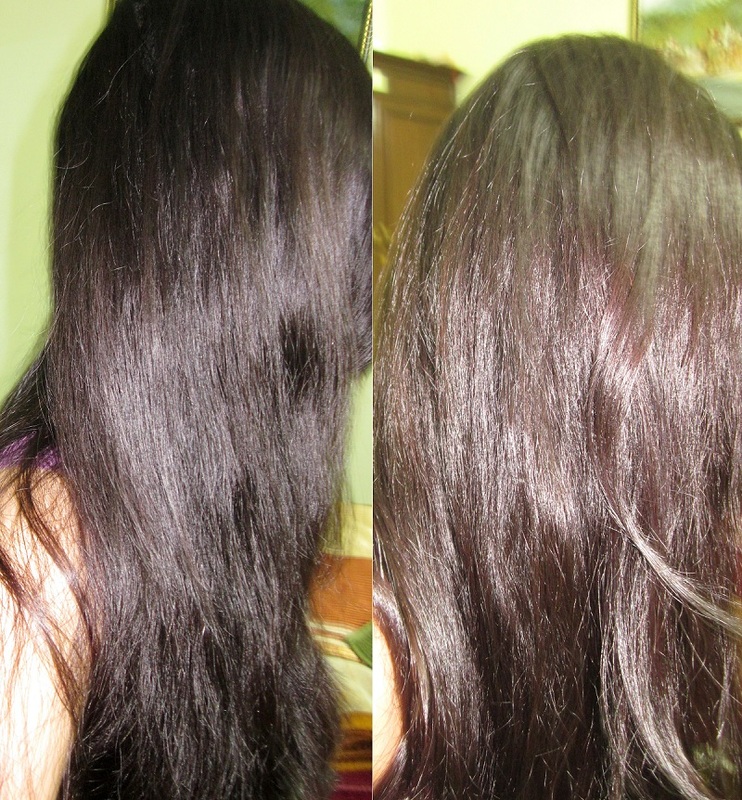 I have natural dark brown hair with reddish tent, that looks as if I have colored them or applied henna.:D... I haven't combed them in the pics! I really loved this hair mask and will be trying out a couple of more soon and will keep you updated. I havent put any mask for monthss.. time to pamper hair.. will try this pack this weekend!! Same here Poo. But when I noticed my hair getting dry, it worked fab!! o give it a try!! He he. :D thank a lot dear! 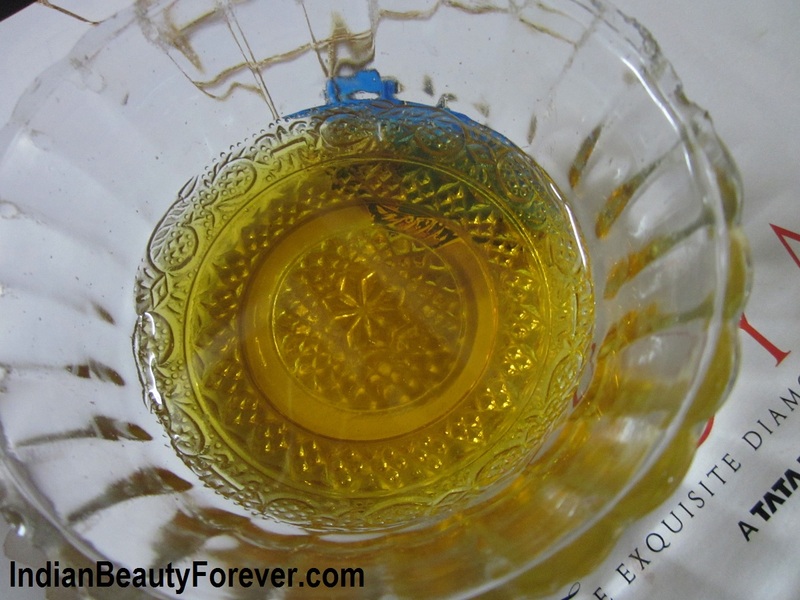 Along with it's antiseptic properties, honey is known to naturally lighten your hair-colour as well. I use the olive oil, honey and egg-white mask once in 10 days. If I use it more than that, it causes build-up in my scalp, and weighs down my hair. Alternatively, I keep the mask on for 2 hours, put on a shower cap and wrap it with a moist heated towel. Absolutely Vera, you are right!! Now I am planning to make an egg pack for shine. Thank you for adding your valuable comment on the topic! Thanks a lot Shreya. :) pleasure!! Will do today itself..lovely hair..do u colour them? Thank you Puja. :) try it, its good! !